Lech Walesa, Nobel Prize winner and Poland’s first elected president, will join a protest today in Warsaw against the ruling Law and Justice Party (PiS) government. 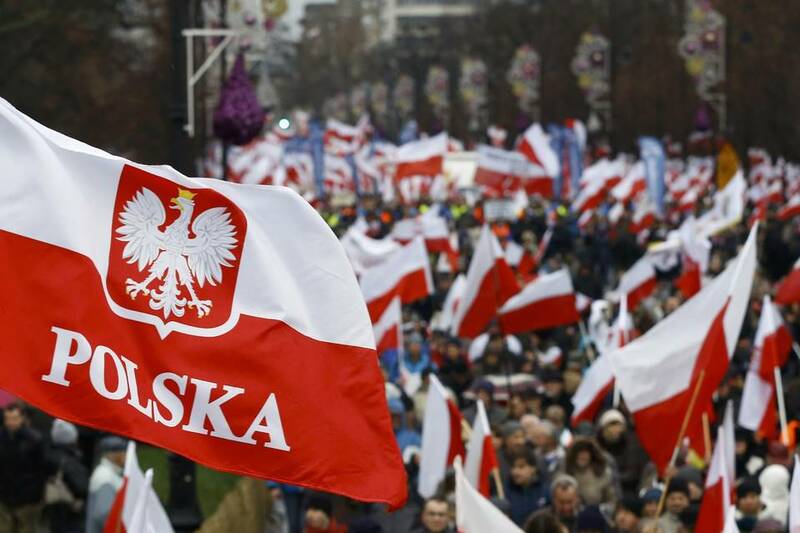 Right-wing and Eurosceptic, PiS has faced backlash for its authoritarian leanings, especially after the legislature passed a trio of controversial laws that empowered the justice minister to replace Supreme Court justices, which critics say would irrevocably damage the rule of law. Facing the threat of losing EU voting rights, massive protests, and a public that opposed the measure by a 26 point margin, PiS-aligned President Andrzej Duda vetoed two of the reforms. But the party remains popular. 40% of Poles say they would re-elect PiS in parliamentary elections if they were held today—twice the support commanded by their nearest rival, Civic Platform. Despite the judiciary reform defeat, PiS has successfully passed laws restricting protests, impeding press access to the parliament and blocking refugee resettlement. Additionally, leader Jaroslaw Kaczynski has vowed to continue the fight for judicial reform. With PiS majorities in both legislative houses and elections more than 2 years away, Walesa and other liberal activists face long odds in their attempts to stop Poland’s anti-EU illiberal slide.